March 12, 2012 marks the 100th anniversary of the first organized meeting of the Girl Scouts, hosted in Georgia by founder Juliette Gordon Low. Several years later, as First Lady, Eleanor Roosevelt served as Honorary President of that organization throughout her tenure in the White House. 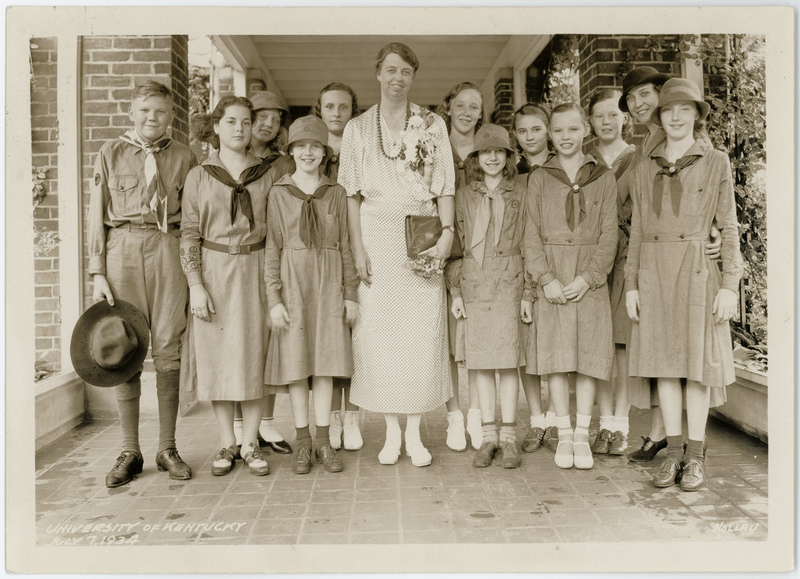 Eleanor Roosevelt pictured with Girl Scouts in Kentucky. July 7, 1934. Page 1 of a letter from an 11-year-old Girl Scout, August 1941. Click here to Read the entire letter along with Mrs. Roosevelt’s August 21 My Day column that inspired Dorr to write. Great post ! love the photo -Happy Birthday Girl Scouts of America !